Tickets available in person at BriarPatch Co-op, by phone at 530-272-5333 or online at here. 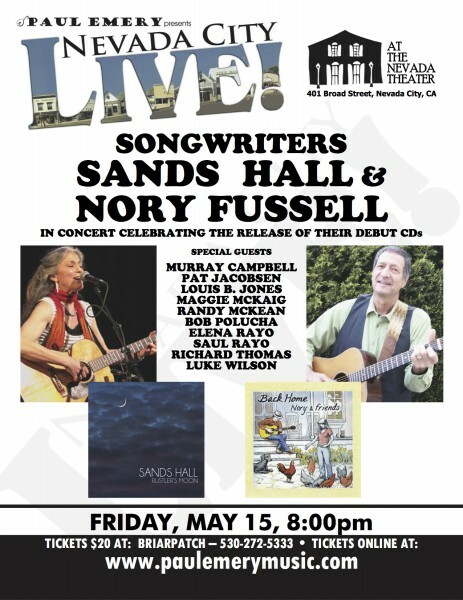 This entry was posted in Uncategorized and tagged nevada city, nevada city live, Nevada Theatre, Nory Fussell, Sands Hall, songwriters. Bookmark the permalink.